The first thing you have to do, of course, is get all your ingredients together. I typically like to make a large batch of this smoothie so I can have it ready to go all week long. But there’s nothing wrong with taking it one day at a time. 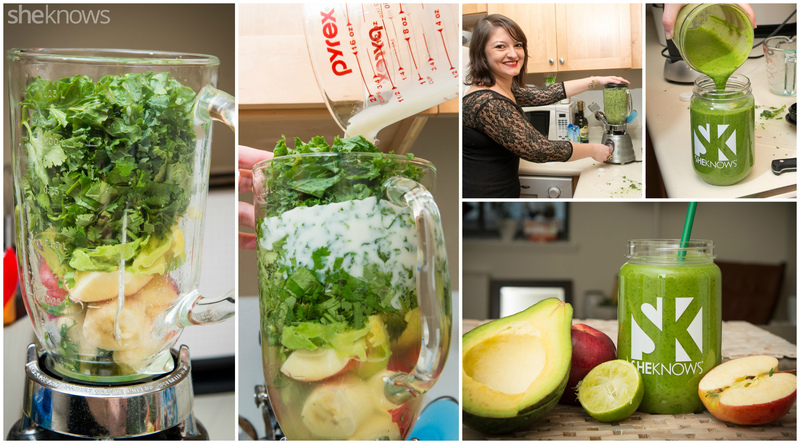 The reason I love this smoothie recipe is that it has everything you need this season: bananas for potassium and vitamin C, avocados for good fats and vitamin E, apples for dietary fiber, cilantro for helping with digestion and all kinds of vitamins and kale for iron and other vitamins. I love adding some fresh lime juice for a slight kick and using unsweetened almond milk (for the protein) and coconut water (for the hydration benefits) as a base. One of the trickiest parts of this recipe is getting that darn avocado seed out. Here’s my trick: Smash it (carefully) with a knife so it is embedded in the seed. Then simply twist the seed to the left (or right), and it should pop right out. After you’ve chopped, deseeded and otherwise gotten all your fruit and veggie ingredients together, it’s time to put it all in your handy high-powered blender. Personally, I love using my Ninja kitchen blender to get the job done. 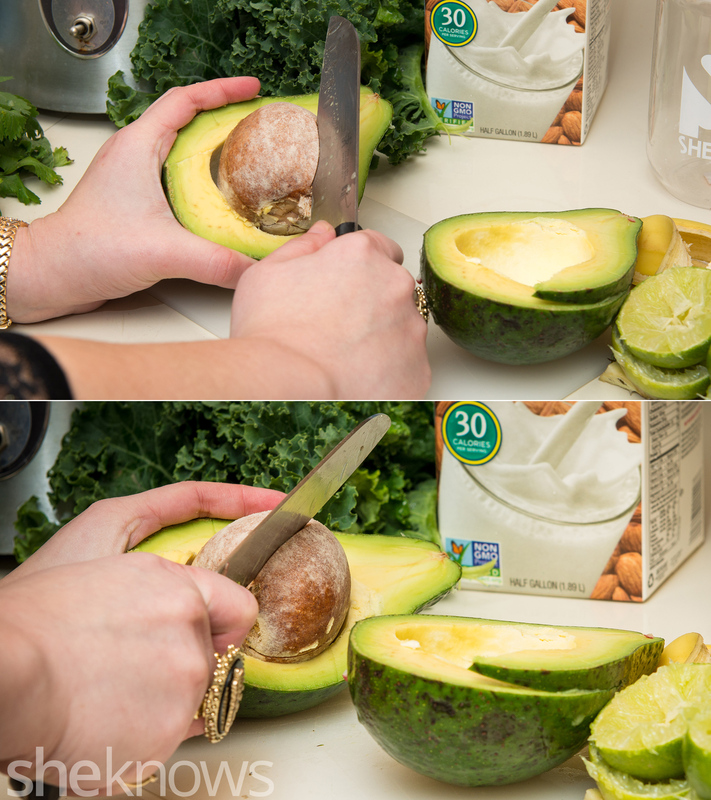 Then you simply add in your almond milk and coconut water. And now it’s time to blend! 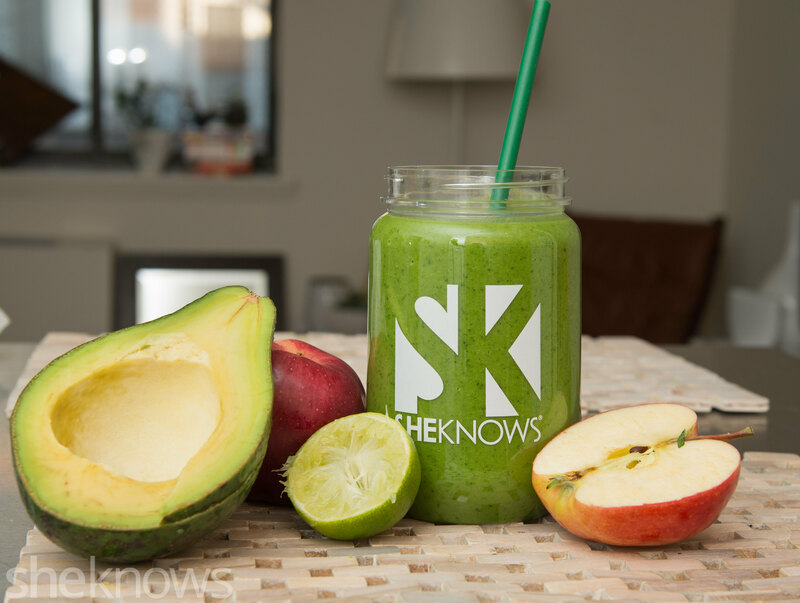 Get through the holidays with this delicious green smoothie made with fruits, vegetables and a healthy dose of coconut water and almond milk. Cut the banana into 3 to 4 pieces; deseed the apple, and chop it into a couple pieces; and scoop out the avocado with a spoon. Put it all into the blender. Roll up the cilantro, and coarsely chop it. 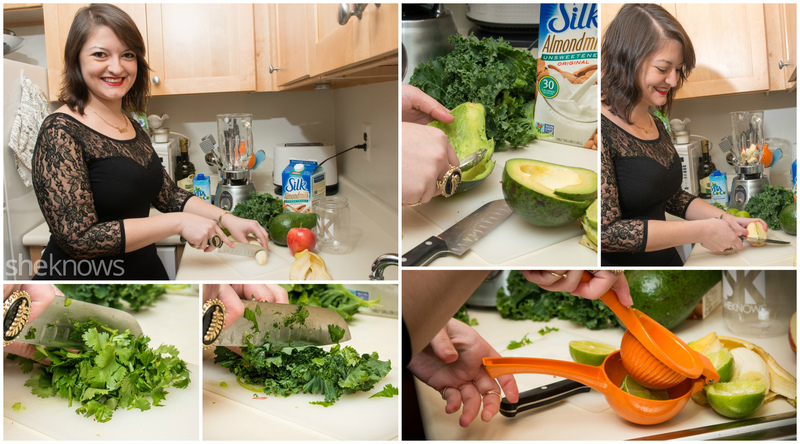 Remove the stems from the kale, roll up 3 to 4 leaves together, and then chop them into thin strips. Add them to the blender. Add the coconut water and finally the unsweetened almond milk. Blend it all together, and enjoy. 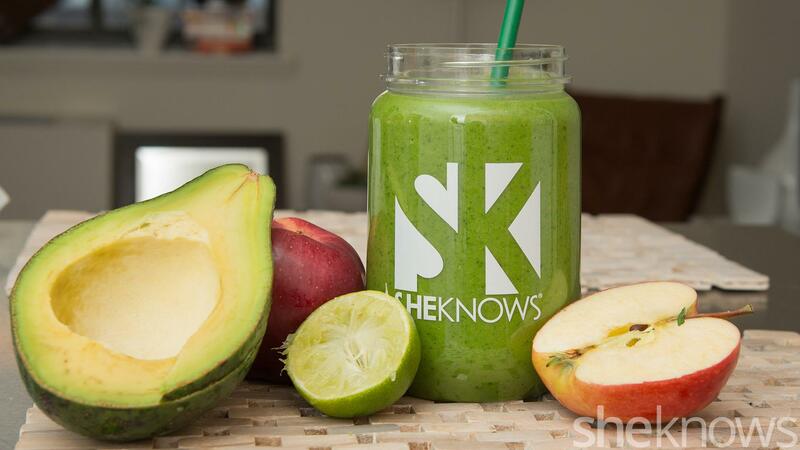 All photos by Tiffany Hagler-Geard/SheKnows.